How can I introduce my tenants to Cozy Renters Insurance? Yes! 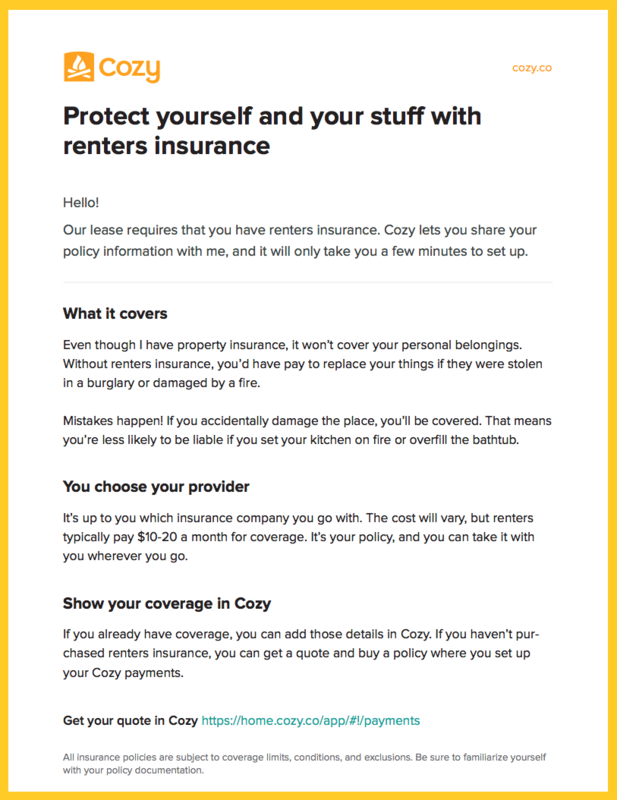 You can share this 1-page guide with your tenants about your renters insurance requirements in Cozy.